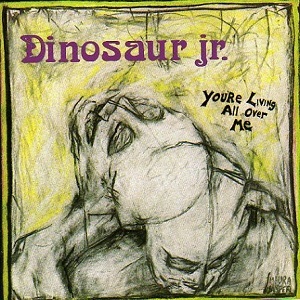 Úvodní stránka » ARCHIVE » Dinosaur Jr.
• All songs written and composed by J Mascis, except as noted. • Dinosaur Jr.'s You’re Living All Over Me, the groundbreaking album from the masters of alt–guitar rock, turns 25 this fall. To celebrate, Merge will release Chocomel Daze (Live 1987), a rare live show (featuring the classic, original line–up of J, Lou, and Murph) recorded in 1987 at Dorrnroosje, Nijmegen, Netherlands on November 19. Limited edition and on 150–gram vinyl for the first time, Chocomel Daze (Live 1987) follows the release of their acclaimed new album I Bet on Sky. • When asked to share his memories of this particular show, J responded, "We were young on our first Euro tour. It was amazing to get hotels and food. We were treated a million times better than we were used to in the states. And only driving like 45 minutes a day to the next Dutch town. Good times." • The masters of alt–guitar rock's groundbreaking 1987 album You’re Living All Over Me turns the ripe age of 25 in the fall of 2012. To celebrate, Merge Records is releasing Chocomel Daze, a rare live show (featuring the classic, original line–up of J, Lou, and Murph) recorded in 1987 at Dorrnroosje, Nijmegen, Netherlands. The band will recreate the magic of 1987 at their upcoming You’re Living All Over Me anniversary show at New York’s Terminal 5 on December 1, 2012. Chocomel Daze follows–up Dinosaur Jr.'s recent full–length I Bet on Sky and is limited to only 2000 vinyl copies with download coupon! Featuring cover art by Marq Spusta, based on the original You’re Living All Over Me cover art by Maura Jasper. 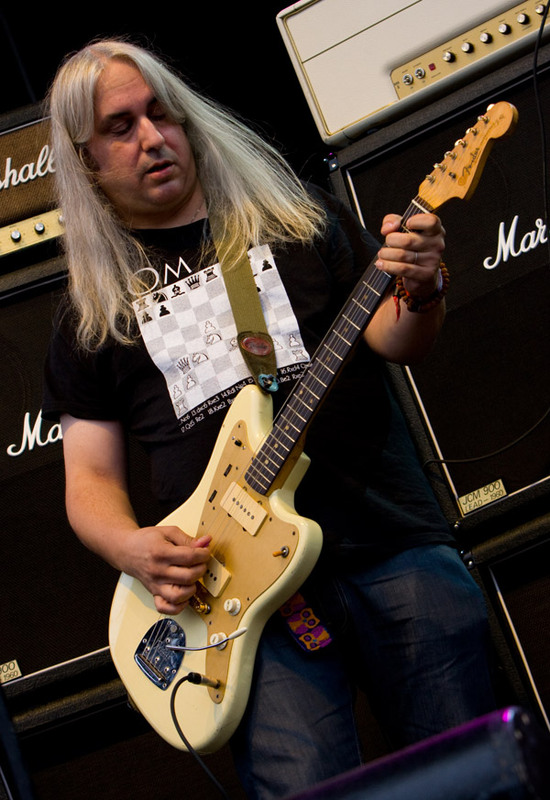 • Joseph Donald Mascis, born on December 10, 1965 is an American musician, best known as the singer, guitarist and songwriter for Dinosaur Jr. In 2012, he was ranked 5th in Spin's list of the 100 greatest guitarists of all time. © Photo credit: Taken by Alex Ramon. / J. Mascis. Live at Virgin Music Festival 2009, Halifax, Nova Scotia. © Photo credit: Lou Barlow performing with Dinosaur Jr. in 2005, Chicago.